Disney Releases Details on Tusker House Dinner: Yesterday, the Disney Parks Blog released some details on the new Tusker House dinner buffet. They describe it as combining the flavors of Boma and Sanaa into one, and oddly enough, they never use the phrase Donald’s Safari Dinner in the entire post. I don’t know about you, but the Kenyan Coffee BBQ Pork Loin and the banana-cinnamon bread pudding with vanilla sauce sounds like enough to get me there. ‘A Cooking Safari with Mickey’ Cookbook Coming Soon: Speaking of the amazing food at the Animal Kingdom Lodge, if you are also a fan of said cuisine, and you know your way around a kitchen, you are in luck. Disney will soon release a cookbook called ‘A Cooking Safari with Mickey’. The book is described as “a collection of recipes showcasing the flavorful cuisine of South Africa and India” and Safari Mike is already getting his grocery shopping list ready. Even More Construction Walls Coming This Week: Yep, the title of this article is EXACTLY the same as last week’s Round-Up. It isn’t often when I can just cut and past a title, but that’s what we have today. Yet even more walls are going up at DAK. 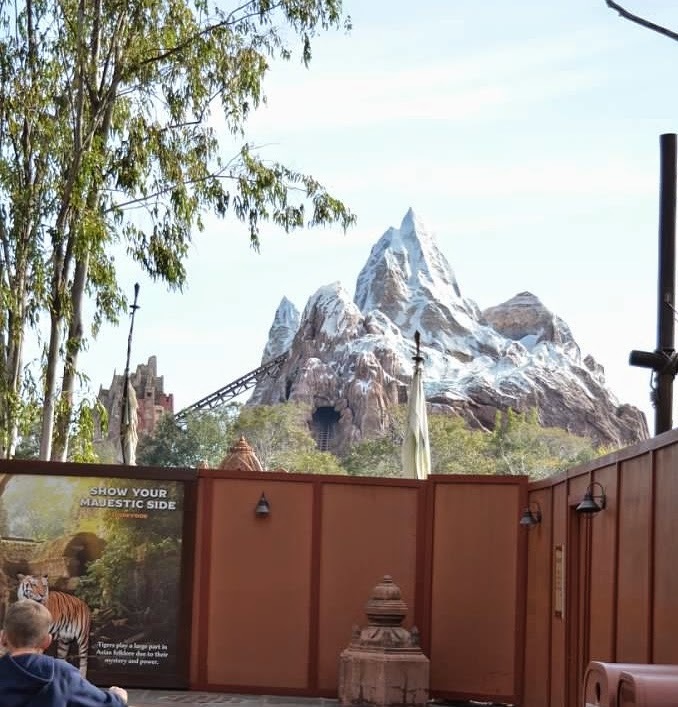 According to Orlando Park News, additional walls should be going up tonight after the park closes around Expedition Everest. This is more work going on for the Rivers of Light and the work is expected to finish around the end of next month. Who wants some Retro DAK?